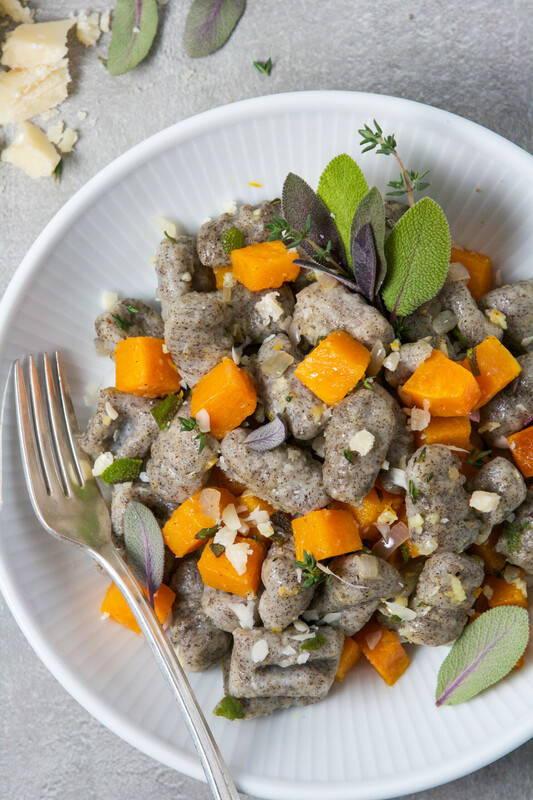 This buckwheat gnocchi is soft and pillowy, like the classic potato-only variety, with a delightful nutty upgrade. 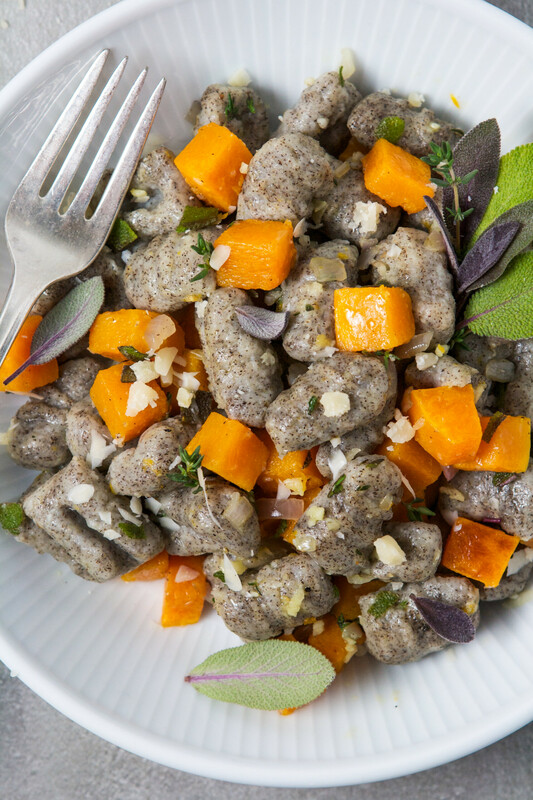 Muddying the pure Italian-style gnocchi, buckwheat flour adds flavor and bulk without adding additional gluten, which ends up being helpful when it comes to creating soft dumplings. I just returned to blistery Iowa from an outstanding four-day culinary trip in Gulf Shores Alabama. And damn. I’m full. Eleven of us spent the last few days eating our way through the sandy beach town. From classic seafood joints and trendy new restaurants, to an amazing oyster cook-off, there certainly was no shortage of seafood—or food in general for that matter. I can’t wait to corral my pages of notes and hundreds of photos to share my must-see places in Gulf Shores and Orange Beach. As many of our minds are preoccupied with the holidays quickly sneaking upon us, I’m planning to share the highlights sometime in February, just in time for spring break. So keep an eye out in early 2018! 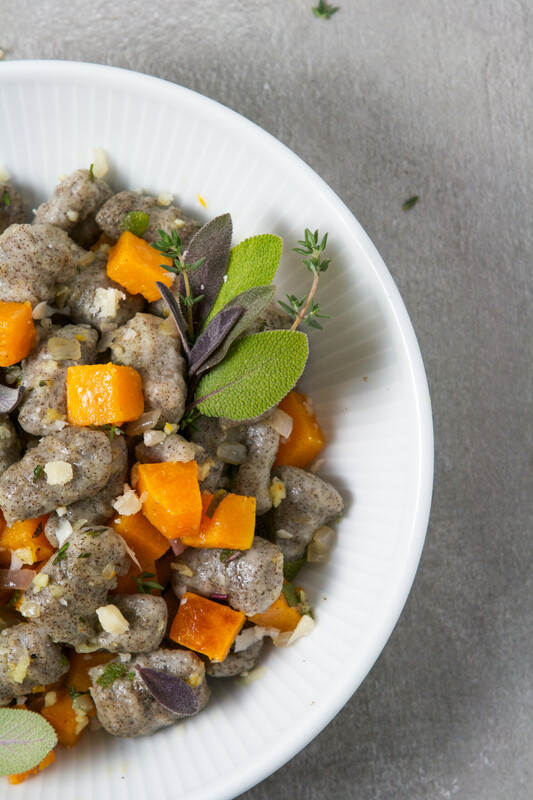 Speaking of holidays and cold whether, this buckwheat gnocchi is perfect for a date-night in or as a Thanksgiving side dish. 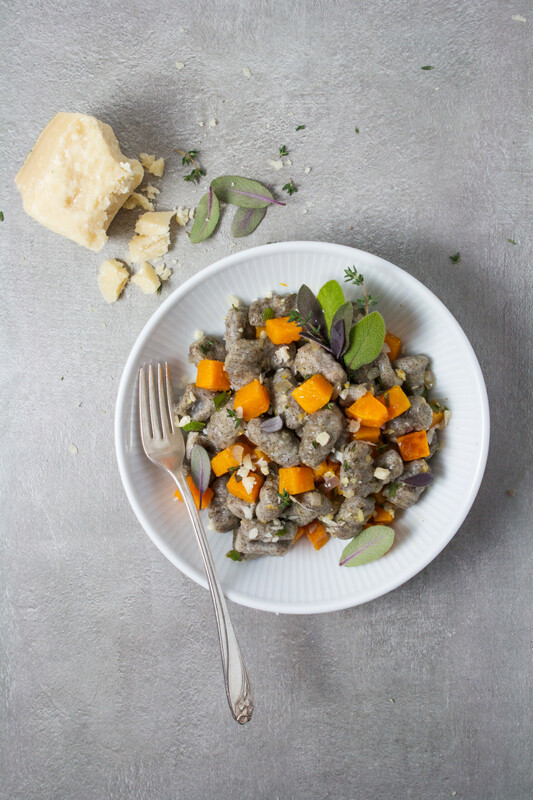 Gnocchi can be prepared and frozen (prior to boiling), which definitely makes this a contending Thanksgiving side dish. 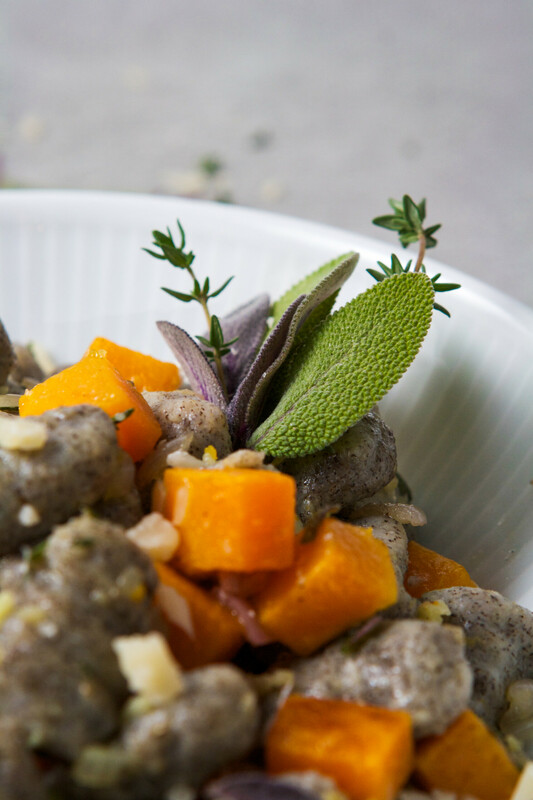 Classically, gnocchi is served in a simple brown butter sauce and topped with Parmesan and sage. Here, I’m giving instructions for both a brown butter sauce and a lighter olive oil sauce. Both are delicious, but with winter foods often feeling so heavy, I thought a lighter offering would be welcomed. Try it whichever way suits you, because in the end, it’s truly all about the fantastic, homemade dumplings. Heat oven to 450°F. Bake potatoes on racks until fork-tender and skins are crisp, 45–50 minutes. 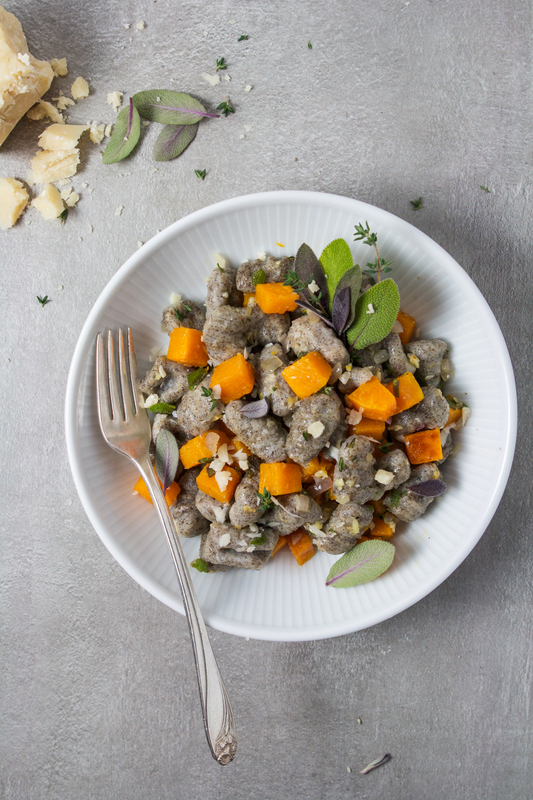 Toss butternut squash with 1 tablespoon olive oil and season with salt and pepper, arrange in a single layer on a baking sheet; set aside. Remove potatoes from oven, immediately halve, and scoop out flesh. Decrease oven to 400°F and roast squash until fork-tender, about 15 minutes, stirring halfway through. Meanwhile, weigh out 1 pound potato flesh and press through a ricer into a large bowl; let cool 5 minutes. Using a fork, gently stir in egg just until combined. 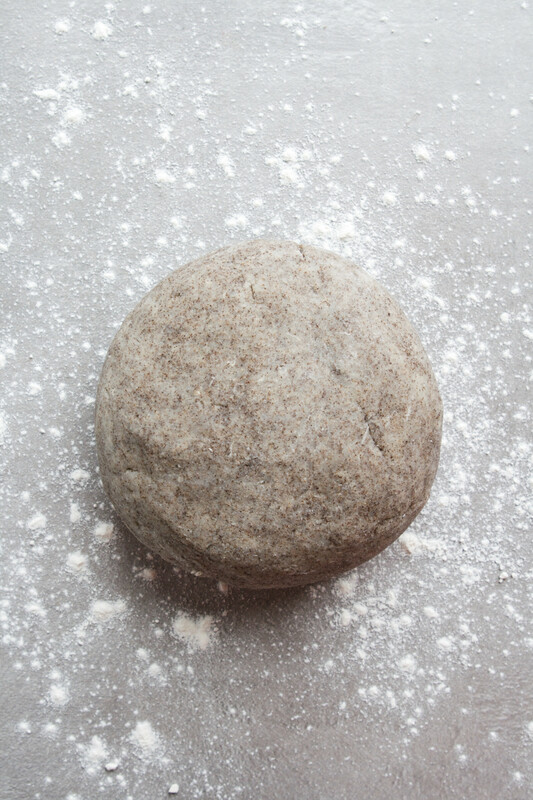 Sift all-purpose flour, buckwheat flour, salt, pepper, and nutmeg over potato mixture and gently combine with fork just until no pockets of dry flour remain. Gently press mixture together then transfer to a lightly floured surface and gently knead until dough is slightly sticky and smooth, about 1 minute. Line two baking sheets with parchment paper and dust liberally with flour. Cut dough into 8 pieces then roll each piece into a ½-inch-thick rope. 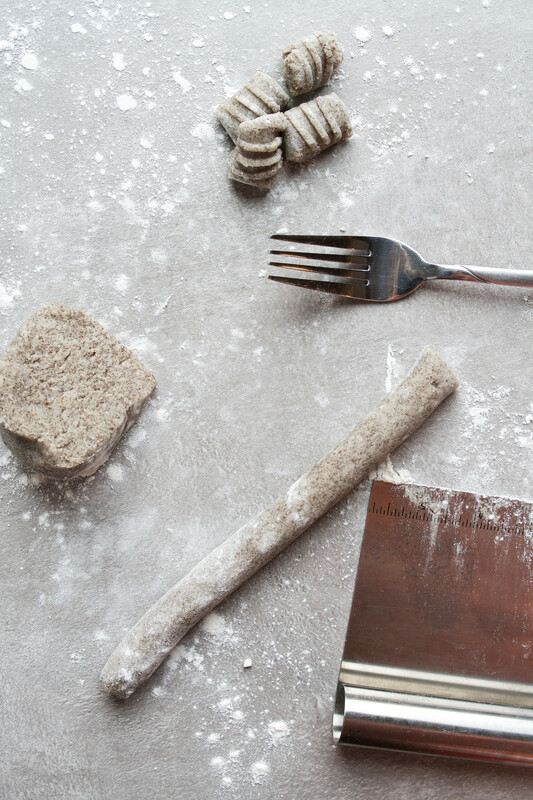 Cut ropes into ¾-inch-long pieces, and using the back of a fork, press each piece of dough, cut side down, against tines of fork with your thumb, roll down and off the fork to form ridges and indentation. 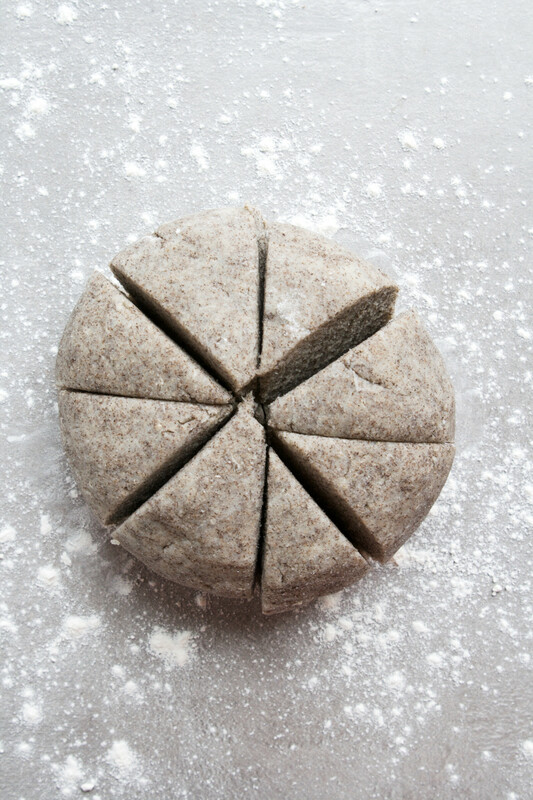 Transfer gnocchi pieces to prepared baking sheets and repeat with remaining dough. Bring a pot of salted water to a low boil. Meanwhile, get your sauce of choice started. For an olive oil sauce: Heat 1 tablespoon oil in a large nonstick skillet over medium-high, add shallots and cook 1 minute, add garlic, sage, and thyme and cook until fragrant, about 30 seconds; remove from heat and cover to keep warm. For a browned butter sauce: Heat butter in a large nonstick skillet over medium heat and cook, swirling, until it starts to brown and become fragrant. Add shallots, garlic, sage and thyme and cook until fragrant, about 30 seconds; remove from heat and cover to keep warm. Using parchment paper as a sling, slide half of the gnocchi into pot of moderately boiling water, and cook until firm and just cooked through, 90 seconds (gnocchi should float to the top after 1 minute). Using a spider or slotted spoon, remove gnocchi and transfer to skillet with sauce, cover to keep warm then repeat with remaining gnocchi. 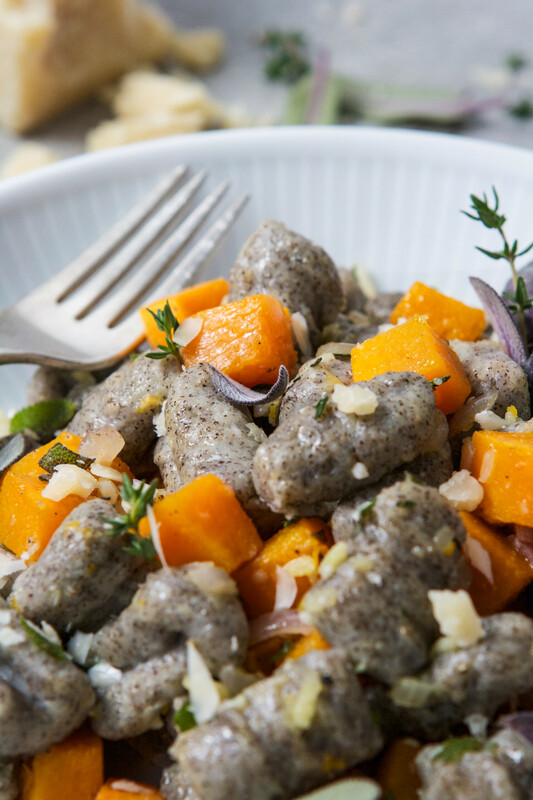 Add roasted squash to skillet with gnocchi and gently toss to combine with, serve with Parmesan and additional herbs. 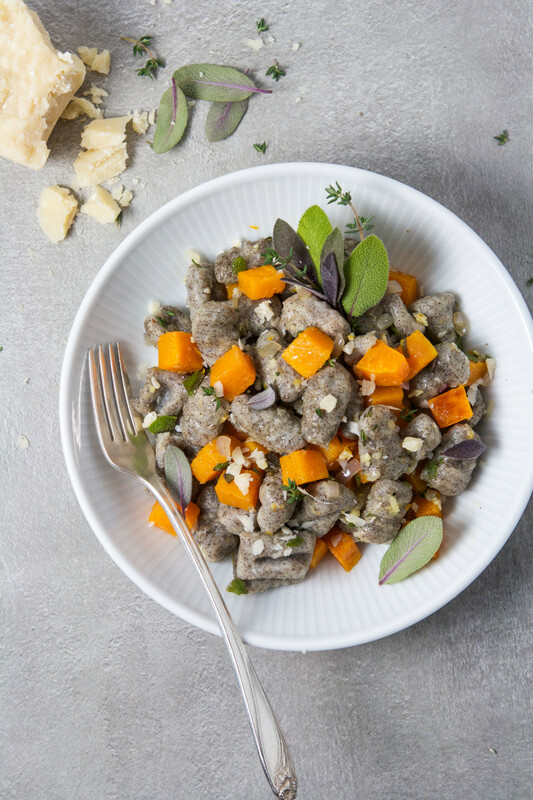 To freeze gnocchi: prepare gnocchi through the shaping stage, then arrange in a single layer on a baking sheet. 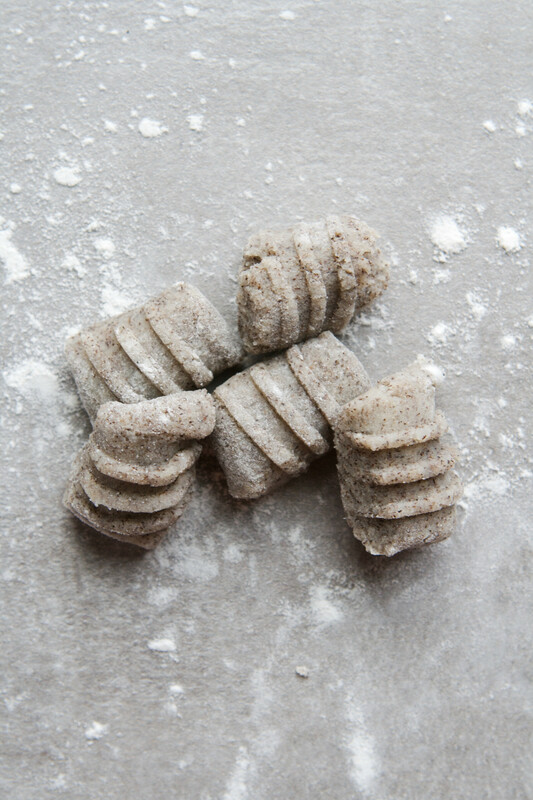 Freeze gnocchi until firm, 1–2 hours then transfer to a zipper-lock freezer bag. 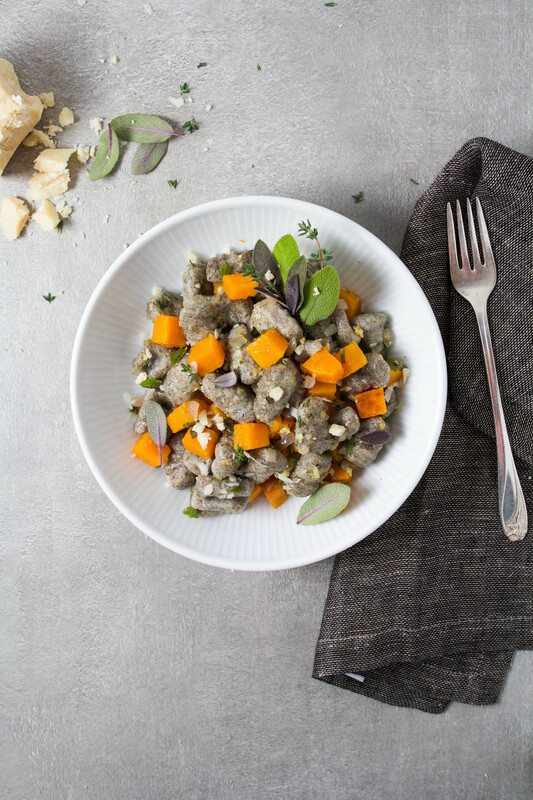 When ready to cook, dump gnocchi, in two batches, right into boiling salted water and cook according to recipe instructions (do not thaw gnocchi). Be sure to slice potatoes immediately after being removed from oven. This ensures excess water (steam) is not trapped inside. Yum! My favorite pasta with my new favorite flour! Butternut squash looks like a great addition! Oh yum! That looks delicious! I’ve never made gnocchi from scratch but it always looks so simple to me! Emily, it’s so easy! I think it’s much easier than making homemade pasta! That looks delicious! I have also recently experimented making french crepes using buckwheat flour. I’ll definitely try out this gnocchi recipe. Jolene, buckwheat crepes sound amazing!! 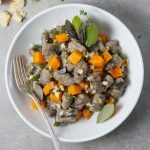 I never would’ve thought to use buckwheat pasta! 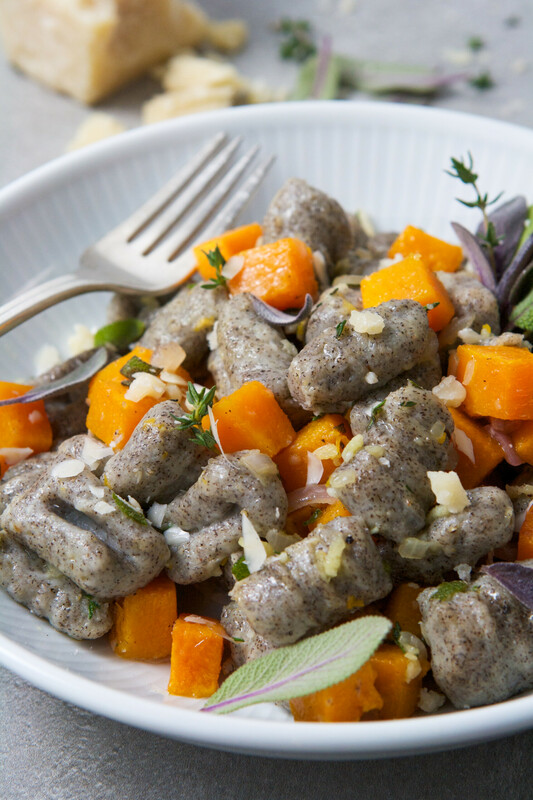 I love using buckwheat flour wherever I can! This looks great! I’ve never had this before, I need to try it! Thanks for sharing! Yum! This looks so good! Definitely have to try this out sometime!